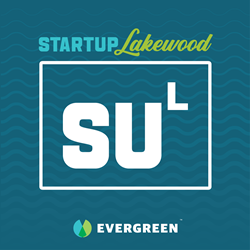 Evergreen Podcasts (Evergreen), a Lakewood, Ohio-based podcast publisher, is proud to announce the launch of the StartUp Lakewood podcast. This will be the second business podcast to launch on the Evergreen network. We had a lot of fun creating this podcast. It captures the creative and entrepreneurial spirit of our city. Not only did we interview unique Lakewood business owners, but we also recorded the podcasts in our Lakewood studios with local natives hosting and producing the show.